For 13 years I helped organize the annual Gentleman's Cruise-A-Palooza, which placed 10 men in a big vessel on the waters of Kootenay Lake, one of the most pristine and beautiful on the planet. Last year we toasted the final Palooza, choosing to end on a positive note (many fun years & all sailors alive, well and mostly sober). Well, a few hardy deck hands decided they weren't finished yet, so 4 of us sail today on the Deep Men of the Deep journey. There will be eagles, mountains, deep glacial water to swim in, fish eluding my line...and euchre (if you are from Ontario you will understand). 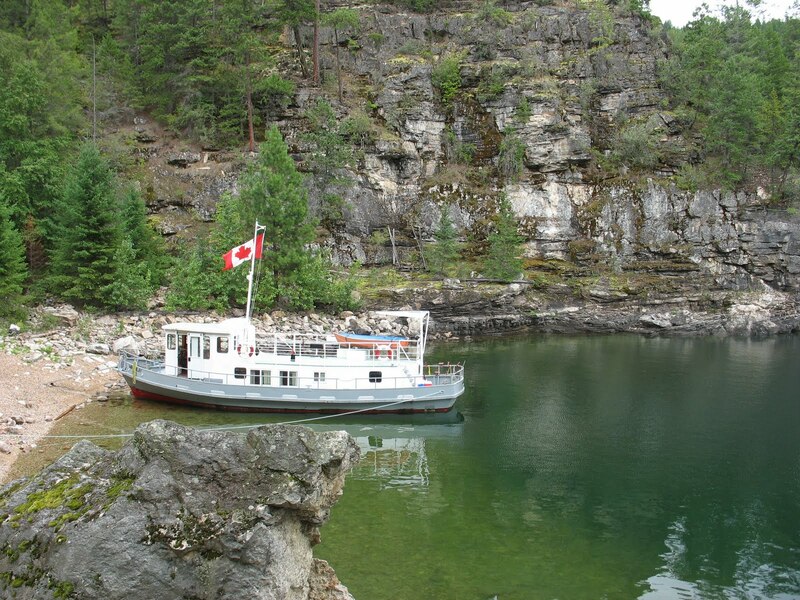 Our vessel is the Cameronian, of Kaslo Shipyards. Final days and nights of summer. Deep men. Deep lake. Shallow fun. Isn't it so true that euchre is the realm of Ontarians! My dad belonged to a regular group in Ontario and here we get a blank stare! Ahhh... BC Euchre fans unite! Not to focus on the silliest part of your beautiful post BUT my fav cooking/running blog talked about euchre today too! And it is from my hometown! ha!